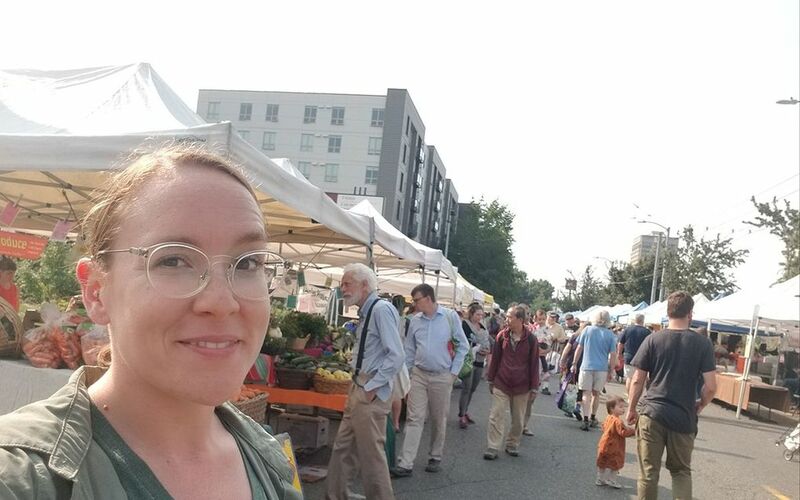 Ivy Fox manages operations for seven of Seattle’s farmers markets, including University District, West Seattle and Capitol Hill. 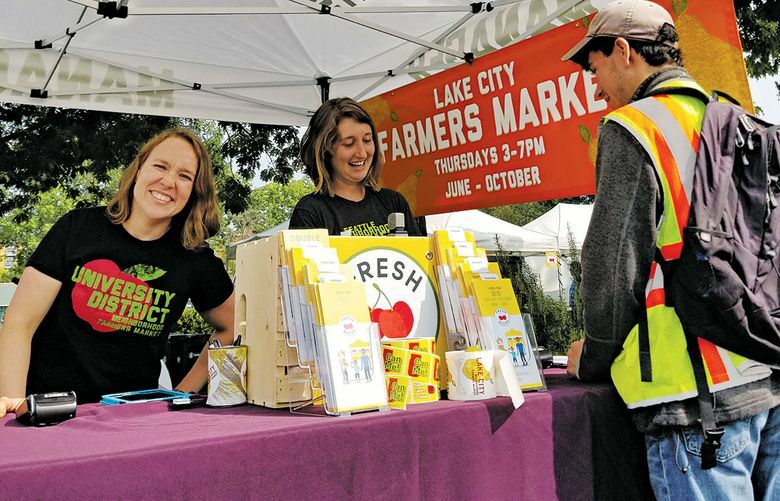 Meet Ivy Fox, an operations manager at Seattle Neighborhood Farmers Markets. What do you do? I am the operations manager for the nonprofit Seattle Neighborhood Farmers Markets, which means that I ensure that seven of Seattle’s incredible farmers markets — the year-round University District, West Seattle and Capitol Hill markets, and seasonal Columbia City, Lake City, Phinney and Magnolia markets — are open, accessible and ready for farmers, small businesses, shoppers and all of our community and neighborhood stakeholders five days a week. How did you get started in that field? I grew up on a farm, and my parents also ran a food bank. I studied agricultural economics and then organizational development as I came to understand the role of our food system and how supporting small farms and businesses impacts more than just our local economy. This job attempts to address some negative externalities and barriers associated with our food system, how we support small farms/business, and looks to prioritize/advocate for systemic change on both the local and statewide level. Food access has always fueled my work. What’s a typical day like? I’ll wake up at 4 a.m. and hit University Way between 5 and 5:30 a.m. Managers physically draw the location of each vendor while shutting down and securing the street with the market team. At 6 a.m., we move 85 box trucks and vans across two city blocks over the course of three hours, opening the market at 9 a.m. We spend the market day acting as the Health Department, administering our Food Access programs that double food stamp benefits, while also engaging with our local community businesses and neighbors. At 2 p.m., we shut it all down, reverse our steps, and somehow, a public farmers market returns to a public right of way. It’s pretty spectacular to watch from start to finish. I end up back at our office then home, usually 11-12 hours after I left, but with baskets of produce and goods in tow! What’s the best part of the job? We have the privilege to work with the people who feed us while being good stewards to the land. The connections that we get to create with shoppers, farmers and small businesses is unique, and we feel a great sense of responsibility and gratitude to hear and engage with our community in such a tangible way. I’ve never had a job where you see your impact so immediately. I can tell you that shopping at a Seattle Farmers Market makes small farming viable in Washington state. The impact is clear, and I love being a part of that delicious work. What surprises people about what you do? Much like farmers and food service workers, we have a rather invisible job that folks don’t know exists until something happens. As a temporary food establishment, we are permitted and regulated at the same level as any grocery store or restaurant, and so are all of our vendors! With that understanding, people are surprised to hear that farmers don’t just show up and arrange themselves in some orderly fashion, but the design is highly intentional and ensures proper enforcement of policies.